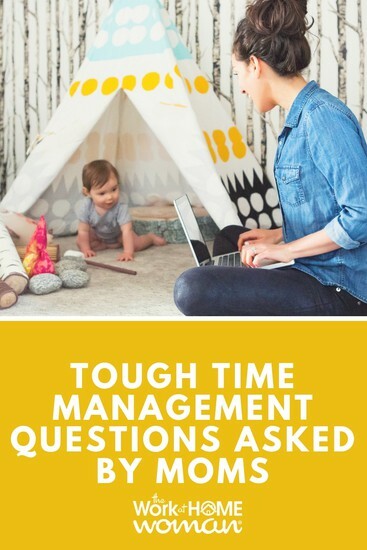 I'm so excited to introduce you to today's guest because she is here to answer your tough time management questions. Elizabeth Grace Saunders is a time coach and professional speaker who empowers individuals who are overwhelmed and frustrated because they want to achieve a life of peace and productivity but are struggling to make it happen. Through her exclusive Schedule Makeover process, she helps individuals set priorities, set expectations, and set routines so that they move forward, feel peaceful, and create lives of love, meaning, and purpose. As a time coach, I first get a holistic understanding of my clients’ specific situation before offering a custom solution. But for this column, I’ve done my best to provide helpful advice based on the provided information. To start, you need a very clear sense of what time you have available to work from home. During the Schedule Makeover process, I have clients clarify what activities and commitments they already have and then use that information to determine how many hours they have left to work on their business. Then once you have a clear sense of how much time you have to work on your business, you need to differentiate between “home life” and “working from home” tasks. To help clarify, I would write out what activities you think fall under each one. Once you know how much time you have to work on your business and what qualifies as a business activity, you can make goals. Ideally, you should block out specific days and times when you can focus on accomplishing home life tasks and on work from home tasks. During the planned times, choose to only focus on the activities under the designated category unless something comes up that absolutely can’t wait. 1. Clearly set “office hours” when you are working and not working. 2. Communicate those to others in the home. 3. Stick to them—i.e., declining invitations to do personal activities during work hours but also stopping working at the designated time. If this strategy fails, my next suggestion is to adapt to your environment. If the main distraction is an adult household member, as opposed to a child that requires you to be at home, I recommend finding another place to work. Possibilities include: the local library, a coffee shop, or a shared workspace where you can rent a cubicle. That way your physical boundaries create clear psychological boundaries on when you are and are not available. Your question could be answered in a million and one ways! But as an enthusiastic pragmatist who has supported myself as a full-time entrepreneur for over four and a half years and lives a balanced life, my simplest answer is: find paying customers. If you have very limited time to work on your business, almost all of your efforts should be directed at activities that lead to sales. If your revenue exceeds your expenses, you have a profitable business. If not, you don’t. 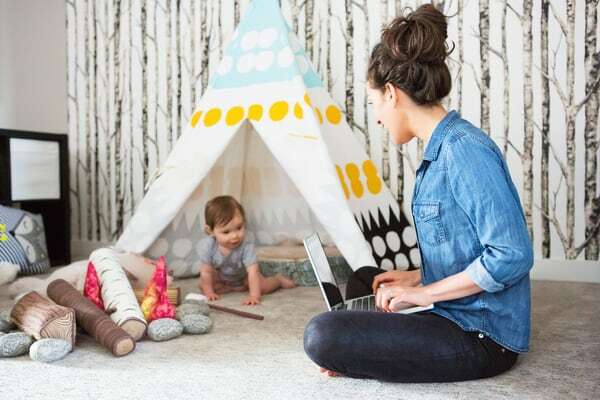 It is tough to adjust from being a “stay-at-home mom” to a “work-at-home mom” because your focus, priorities, and responsibilities have changed, but there aren’t as many outward cues to remind people to adjust their expectations. 1. Understand that it will take time for people to make the mental adjustment. We naturally develop subconscious ways of relating to people so others’ misunderstanding may be frustrating but is most likely not intentional or malicious. 2. Consider whether you’ve adjusted your expectations for yourself. 3. Politely adjust others’ expectations. When you’re asked to do something you used to have time to do, say something like, “I really appreciate the offer, but I’m at my capacity right now.” Or if you’re having a harder time fitting in people connection time, try to “layer” activities like going on a walk, planning a party, volunteering, or even grocery shopping with friends or family. This way you can get stuff done and invest in your most important relationships. 4. Give yourself time to rest. If you’re literally spending every minute you’re not doing mom activities doing business activities; you’re going to burn out, feel like a victim, and be resentful of anyone asking for your time. Try to do at least one thing a day that re-energizes you, even if it’s as simple as turning off your cell phone and listening to your favorite music for 15 minutes on the way to an appointment. Life is to be lived now. Don’t let it pass you by. Do more of less. A sense of accomplishment, satisfaction, and achievement comes from making and keeping our commitments to ourselves and others. Decide what you really want to do, make a realistic goal, and then complete it. There’s no better way to create a great life and build a great business.